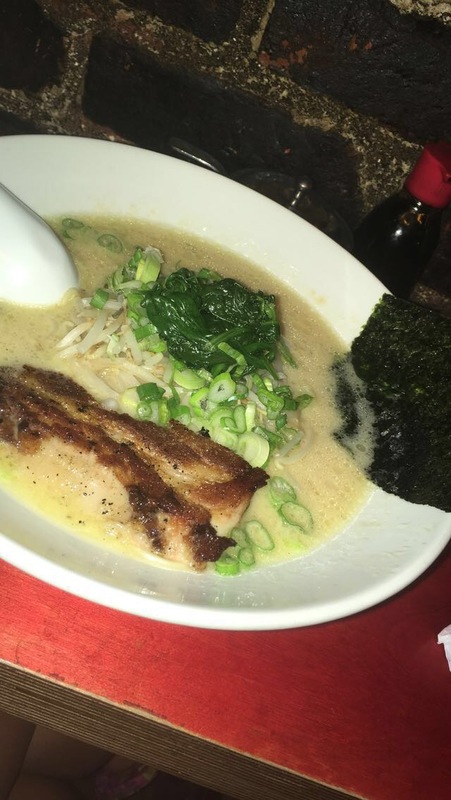 Photogenic Tonkotsu ramen from Ramen of York in Eagle Rock. Definitely been missing ramen a lot lately, and this hit the spot! Taco everyday, right?! 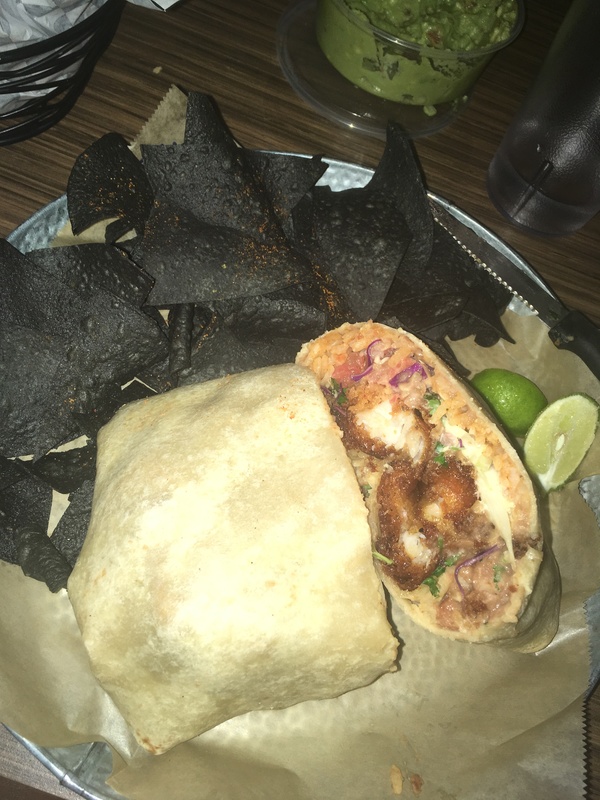 Fried fish taco from Cacao Mexicatessen in Eagle Rock. Who says eating healthy has to be boring? 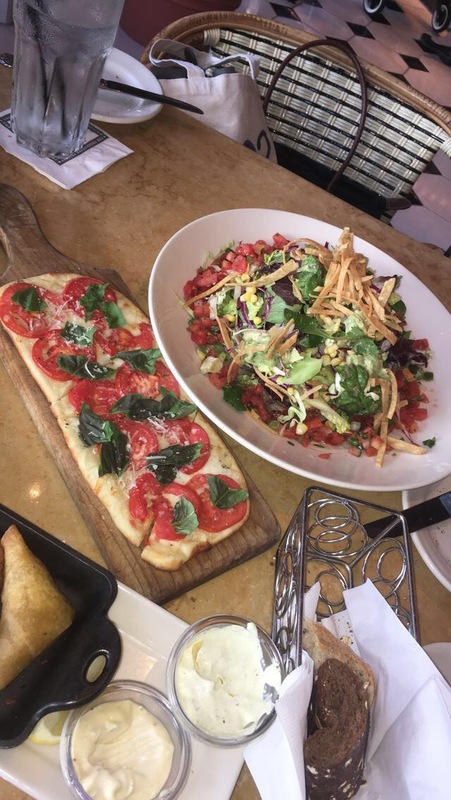 Cheesecake Factory lunch done right. Chicken tortilla salad, tomato, mozzarella and basil flatbread and crab bites. 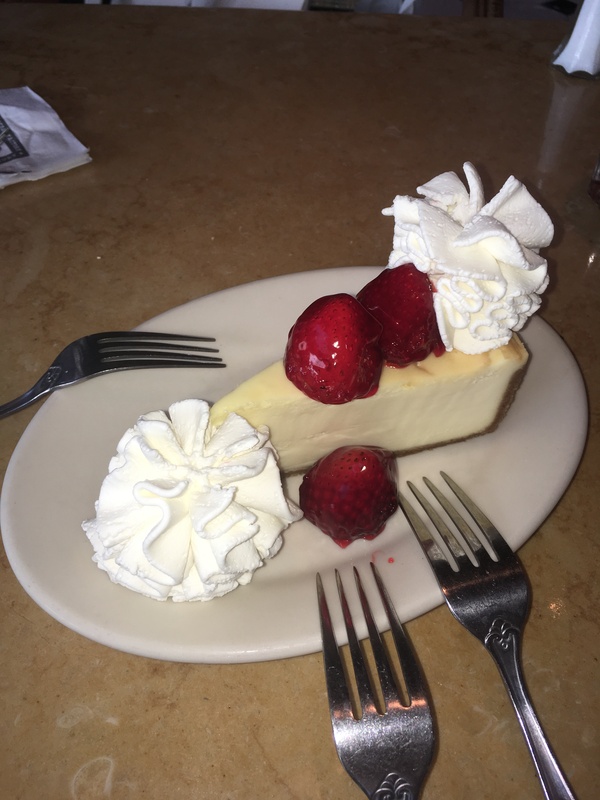 … but also leave room for dessert;) It is CHEESECAKE factory after all. 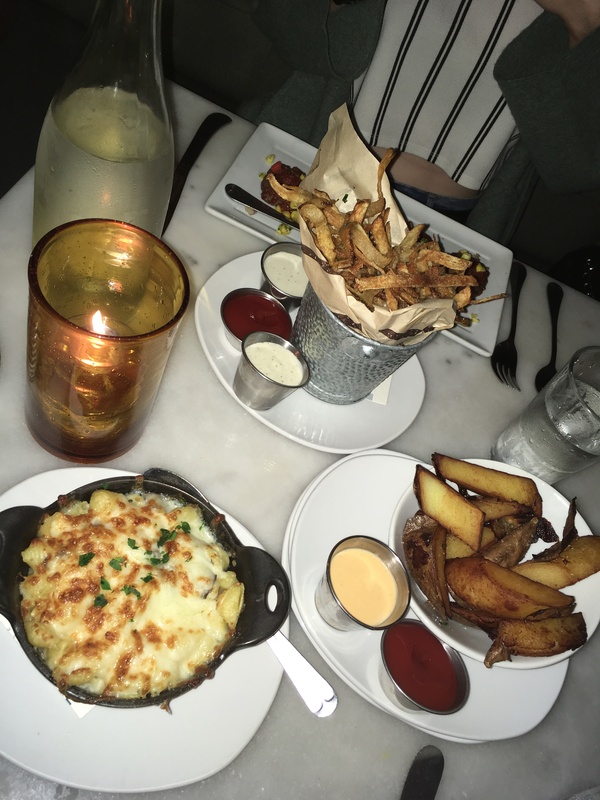 AMAZING dinner before a night out at Taste on Melrose. Super cute setting, perfect for date night (or a girls night). We ordered the papaya Kobe meatballs, truffle fries, truffle and mushrrom mac&cheese and Korean sweet potato wedges. Everything was so good, highly recommend!